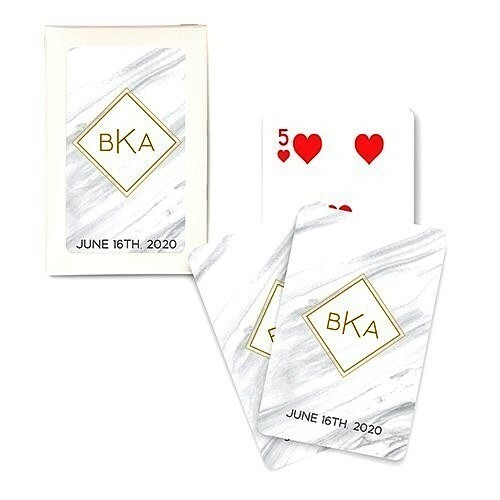 Featuring an elegant gold and grey geo marble print in your choice of three (3) background colors, these cool playing cards may also be personalized with monogrammed initials and a wedding date (or custom text line) to add a more personal touch. They also come packed in an individual box with a plastic window. PLEASE NOTE: This is not a sticker that you affix to the playing cards, but rather a design printed directly onto the cards.